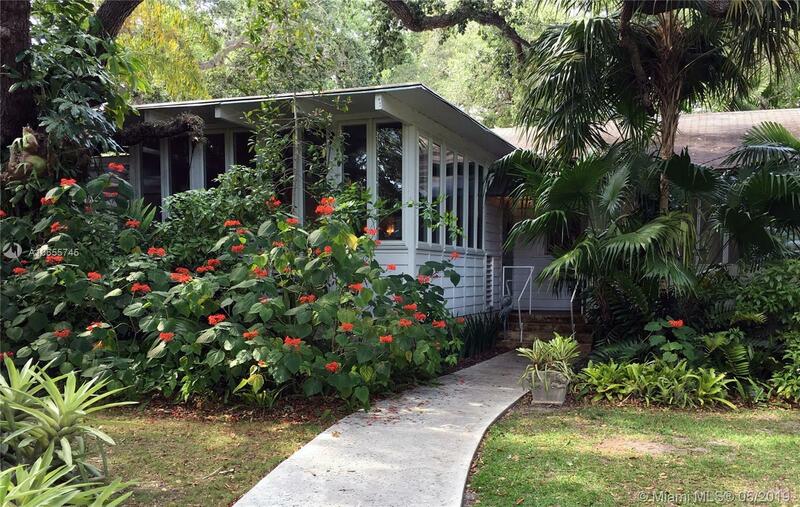 Wonderful Old Florida contemporary 3 bedroom, 2 bath home situated on a lush double lot is nestled by grand oak trees. The lot is a full block depth with street to street access and a landscaped median in a highly desirable neighborhood of South Miami that is close to fantastic parks, schools, shopping and transit. Built in 1953, remodeled in the 1990âs, the home awaits a new polish. It features natural light with private expansive garden views. Additional features include never sanded oak floors, stained concrete floors, large Florida/family room with generous light; living room with fireplace, laundry/utility, open kitchen, breakfast room and dining room; 2 patios and high wood beam ceilings. Larger than tax rolls, classic updates throughout; the home offers a special opportunity.